Looking to give your online platforms a makeover? 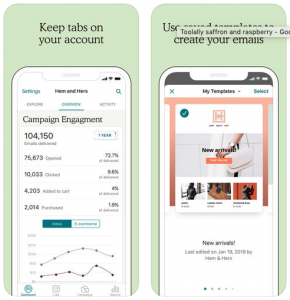 These 10 handy apps will help you do just that! 2018 saw the rise of Instagram stories, with 500 million users taking advantage of the reactive story feature. With more Instagram users choosing to catch up with the accounts they follow on stories, be sure to keep up to date with Instagram’s updates and use its new ‘in story’ features. 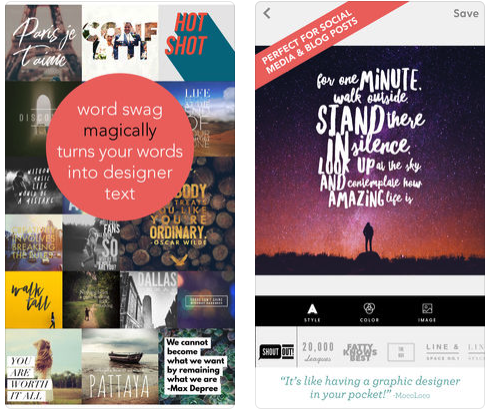 Our favourite app for creating #instagrammable stories is Unfold. 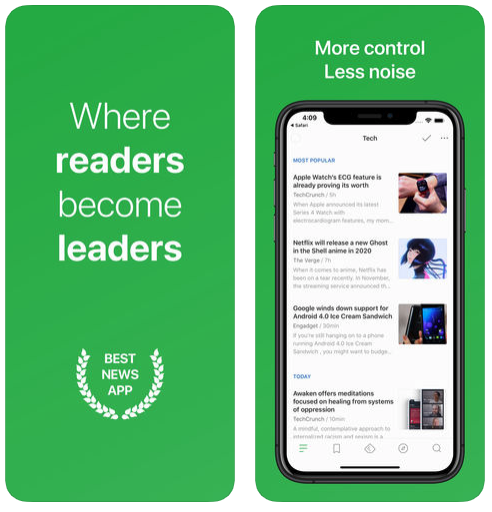 The app provides easy to use templates, various layouts, and fonts, making your stories look professional and aesthetically pleasing. 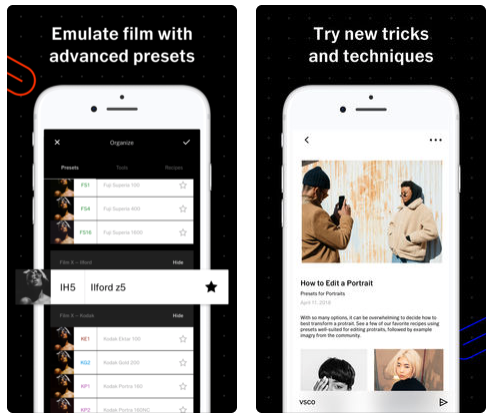 Our favourite app for editing photos on the go is VSCO. 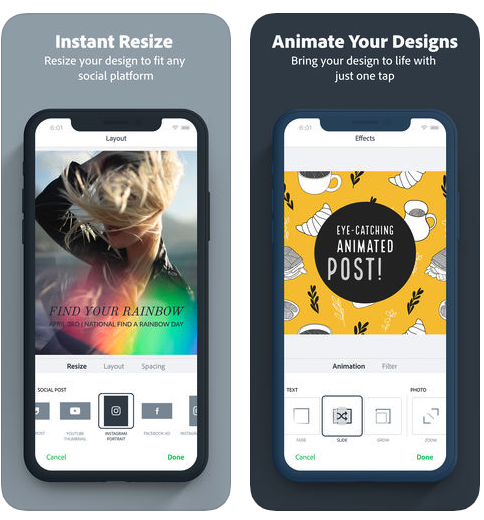 Favourited by influencers, the free editing tool is quick and easy to use and comes with hundreds of ready to use pre-sets and customisable editing tools. The popularity of video content isn’t going anywhere in 2019 and if you need some quick snap and edit content for your feed, Hyperlapse can help. 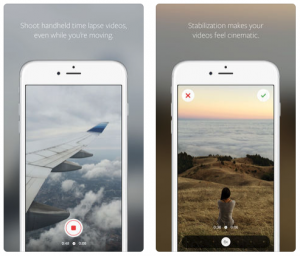 Whether you want to show off your workspace by giving a tour or show a progressing project, this handy time-lapse app is perfect for keeping your audience’s attention. 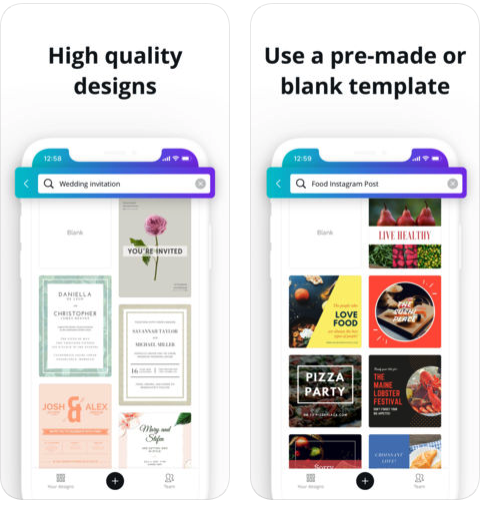 If we didn’t have such a wonderful design team here at the fabl, Canva would be our port of call for any quick assets needed. 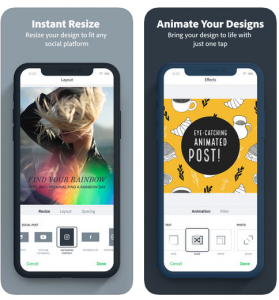 Accounts are free and you can create pretty much anything from a simple 1080 x 1080 image for Instagram, to a full social media proposal; with custom branding and logos. Want to make your images move? Adobe Spark is the best app for this. 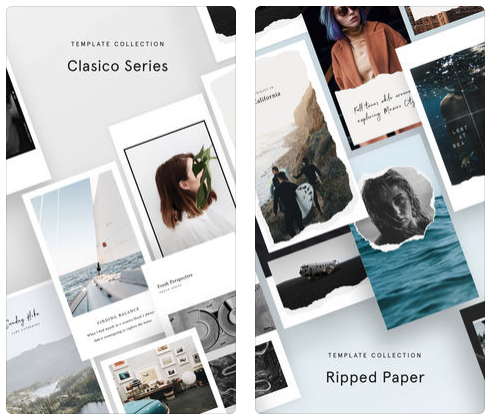 There are hundreds of variations of fonts, colour schemes and designs available that can be turned into moving GIFs for stories or post photos. Best of all it’s super quick and easy to use, allowing you to turn around great content in only a matter of minutes! Coming up with ideas for blog content can be difficult and we all have days when our minds go blank. Feedly is a reactive news sharing app that gives you daily lists of features to either re-post or talk about. It’s a great tool to use for staying relevant and sharing quality content. MailChimp is not just about sending newsletters, it has so much more to offer. You can send real postcards to your audience, re-target your customers and even create social media ads. 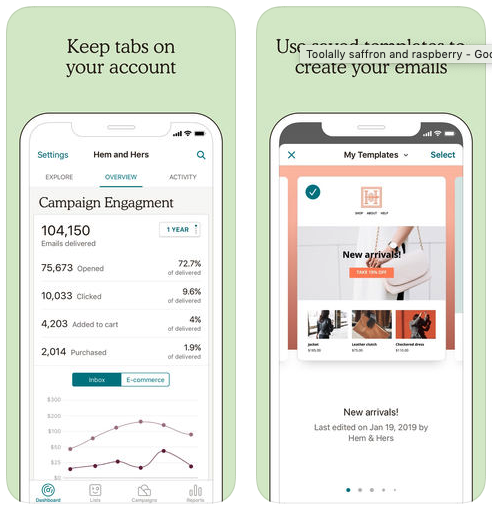 Having the app on your phone is great for seeing real time reports from your campaigns and engaging with your customers. 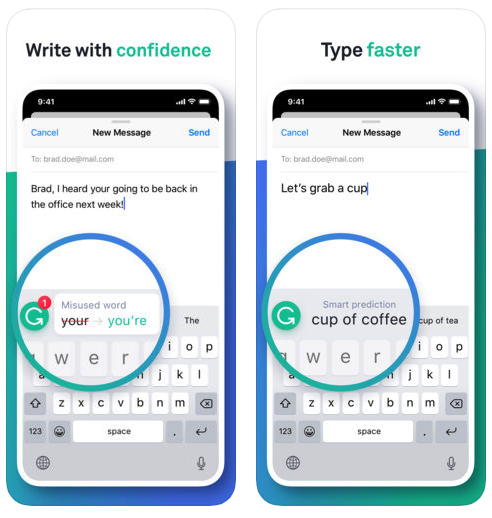 Grammarly for ALWAYS checking your spelling! Let’s face it, whether you are a copywriter or just starting out in the world of writing social media copy, you should always have your work proofread before publishing as mistakes happen! 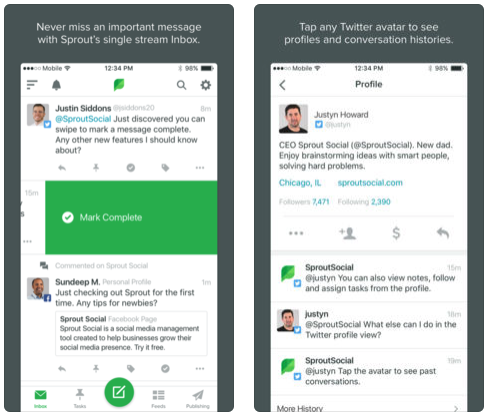 Sprout Social is a big part of the digital team’s day to day job. (It sometimes feels like another member of our team!) Its software enables us to schedule, report, collaborate and engage on our clients’ social media channels. 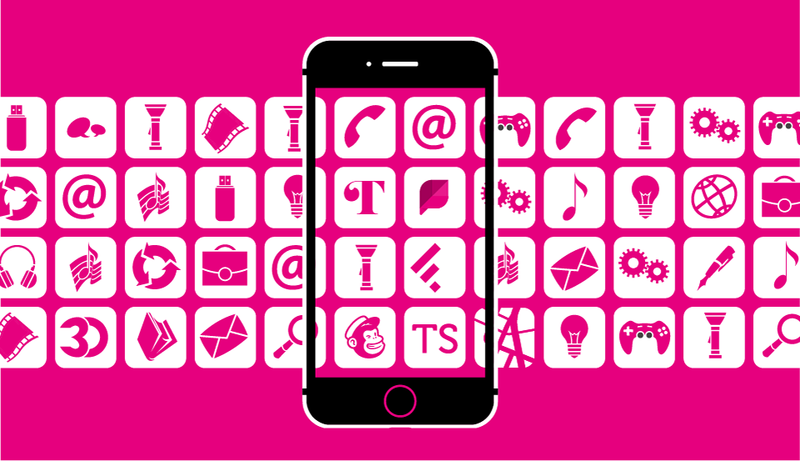 Having the app on our phones means we never miss a message and can keep organised in the fast-paced social world. 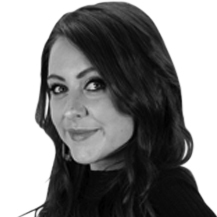 It also has an incredible blog, keeping us up to date with the latest social media trends and news. 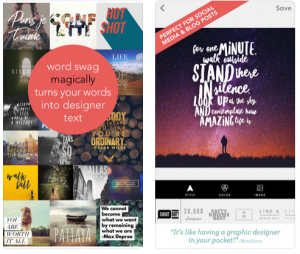 Perfect for creating quotes on the go, Word Swag is an app you should download if you post quotes to your social media channels. There are hundreds of customisable options for fonts and colours, so you can get really creative!